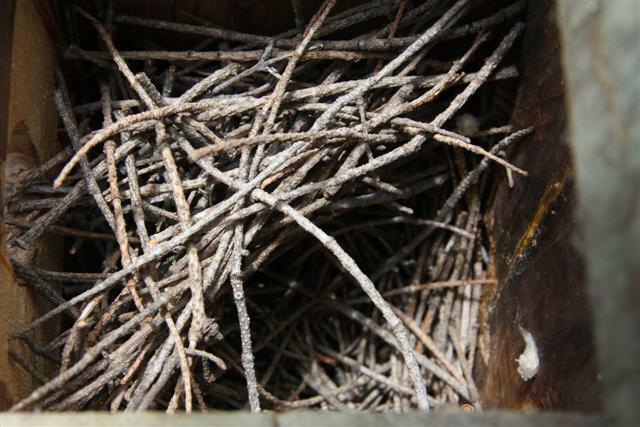 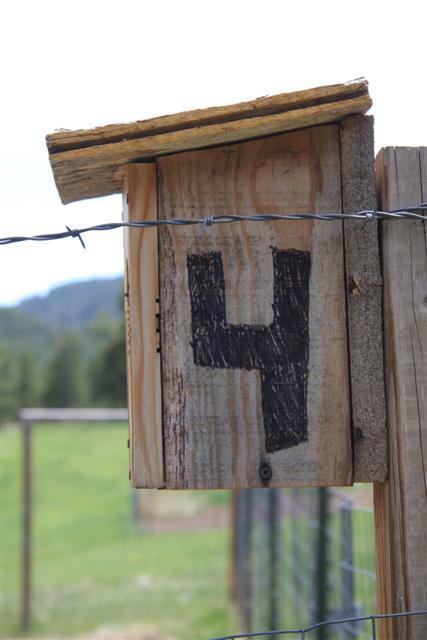 Above: Box 5 - Mountain Chickadees - 4 eggs (white). 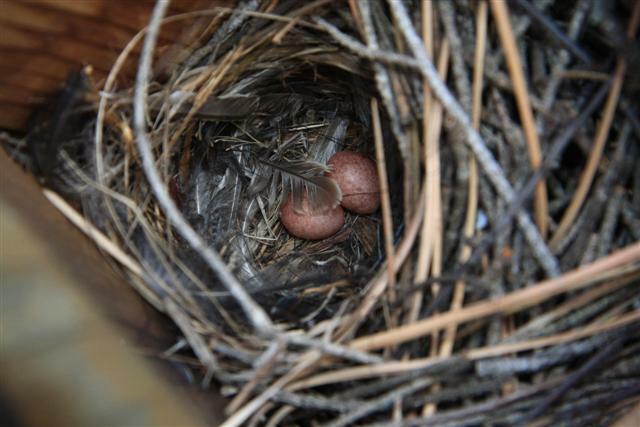 Jen and I poked around and found some eggs afer all. 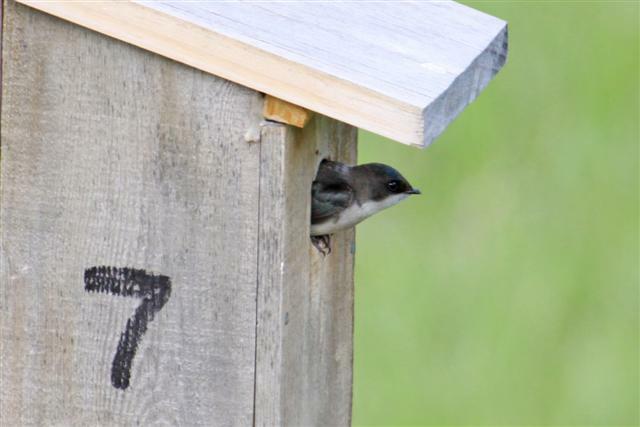 Clever birds. 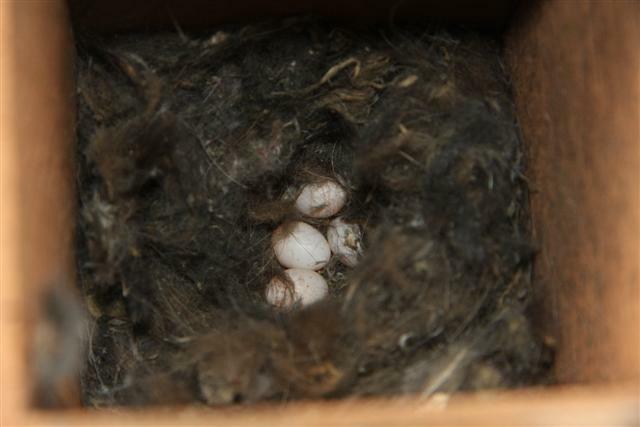 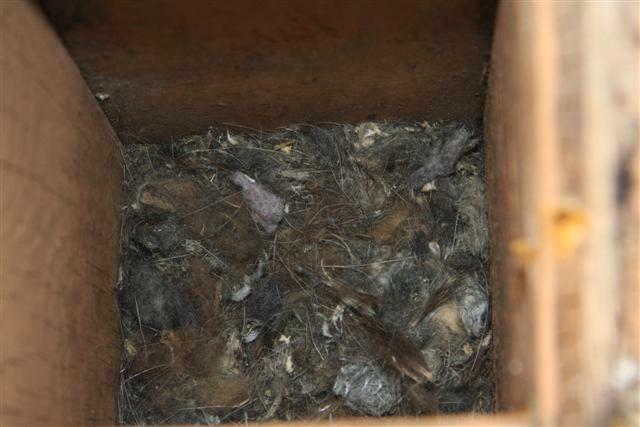 Above: Box 562 - Mountain Chickadees - 5 eggs (white). 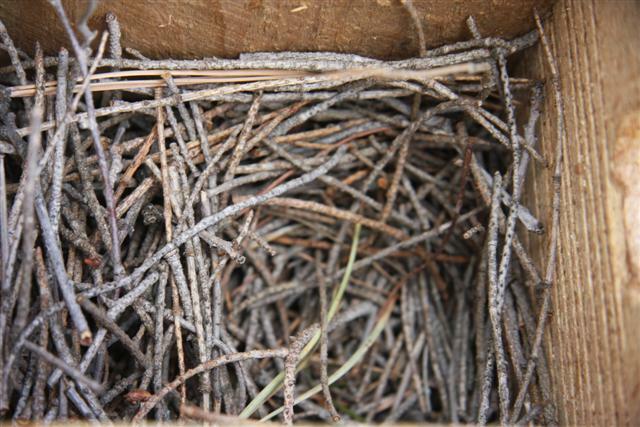 At first, I didn't see any eggs, but I got suspicious that neither of the Mountain Chickadee nests had any eggs yet. 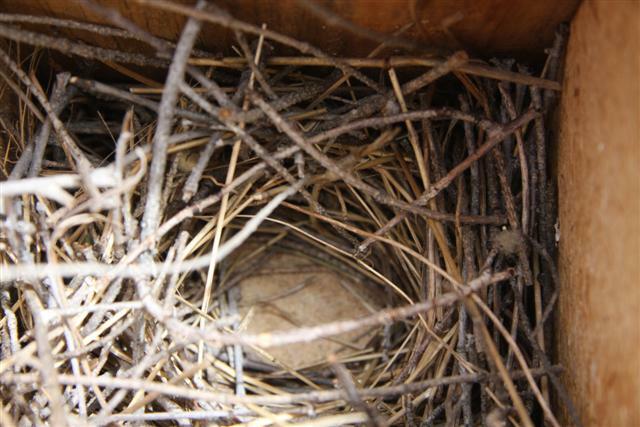 So, I poked around a bit and found five white eggs hidden in the nest. 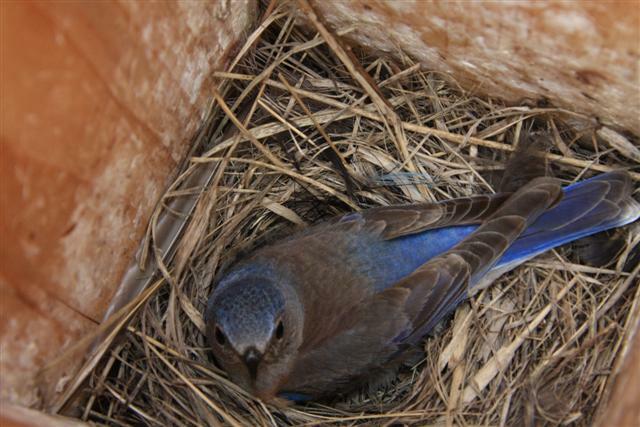 Above: Box 8 - Female Western Bluebird sitting on 2 eggs. 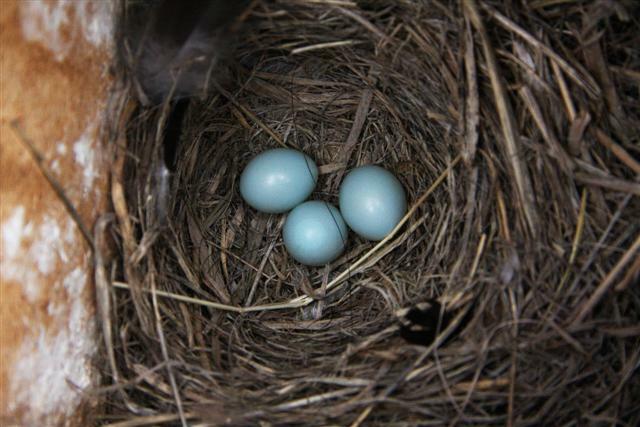 Initially, I thought that she was laying another egg. 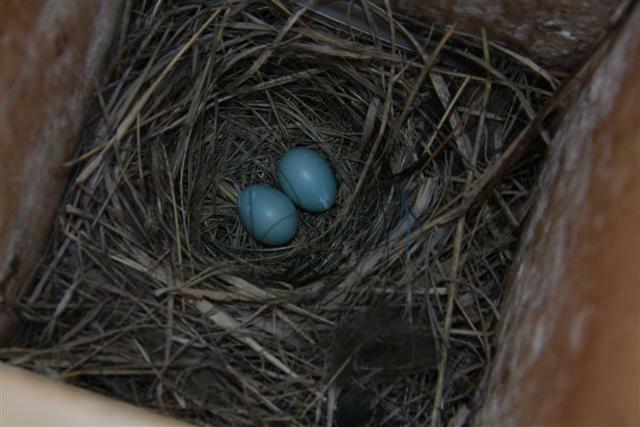 But I don't beleive she laid an egg today. 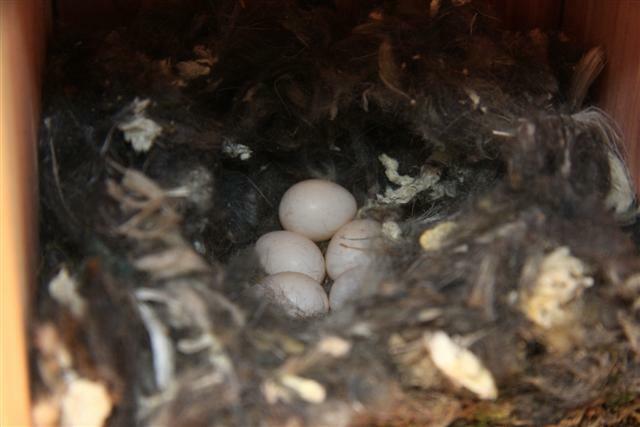 She could possibly be incubating a clutch of only 2 eggs, but this would be an unusually small clutch size.